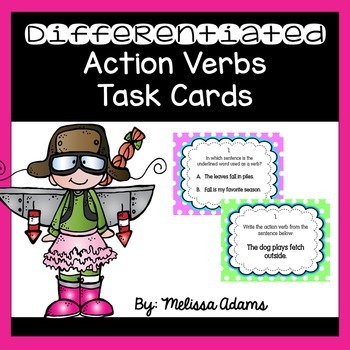 This differentiated set of cards allows students to practice identifying action verbs within a sentence. 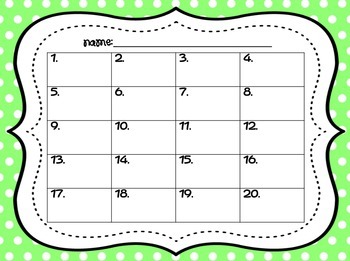 The first set of cards (green) simply gives the students a sentence where they must identify the verb in that sentence. The second set of cards (purple) gives the students 2 sentences to read. 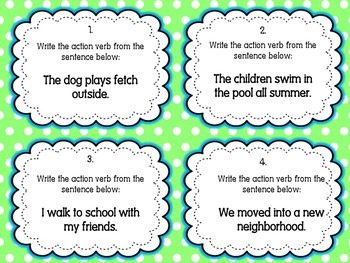 One sentence uses the word as a noun and the other sentence uses the word as a verb. 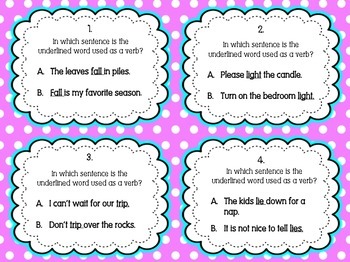 Students must identify if sentence A or B uses the word as a verb. The cards can be used as a center or whole group activity like scoot. Recording sheets and answer keys are available with this set.